Cerner and Lumeris have joined hands for a 10-year collaboration to launch a new venture: Maestro Advantage. Cerner and Lumeris have brought together their technologies to result in EHR agnostic. The Kansas City, Missouri-based Cerner specializes in EHRs and other IT solutions whereas the St. Louis, Missouri-based Lumeris’ technique involves value-based care. Maestro Advantage aims at supporting hospitals that participate in value-based care arrangements, for example, Medicare Advantage and provider-sponsored health plans. To be more precise, it aspires to ease various healthcare-related procedures such as claims processing and reimbursement cycles. Ultimately, the clinician benefits by improving outcomes for patients in value-based plans through this amalgamation of data and providers’ workflow. Lumeris chairman and CEO Mike Long stated that Maestro Advantage creates a patient-centric healthcare delivery network. 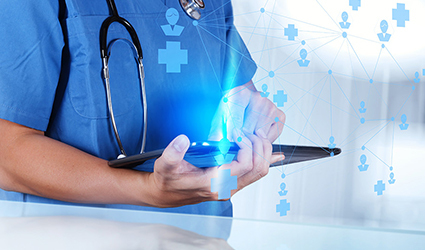 Prevention and wellness become the top priority rather than treatment and ‘sick care.’ Physicians and care teams will get access to timely data and easy-to-use, actionable insights at the point of care. Combined with a proven, value-based accountable primary care model, physicians can truly advocate for their patients, ensuring they receive better care and are more satisfied on their healthcare journey. The two companies want to target specific health systems best suited for Maestro Advantage. They plan to make the first offering available later this year and reach the larger market by 2019. Lumeris will also adopt Cerner’s HealtheIntent, a population health management feature, as a part of the 10-year alliance. Moreover, Cerner has invested in Lumeris’ parent company, Essence Group Holdings Corporation winning a minority interest in Essence for $266 million, as per a financial filing.